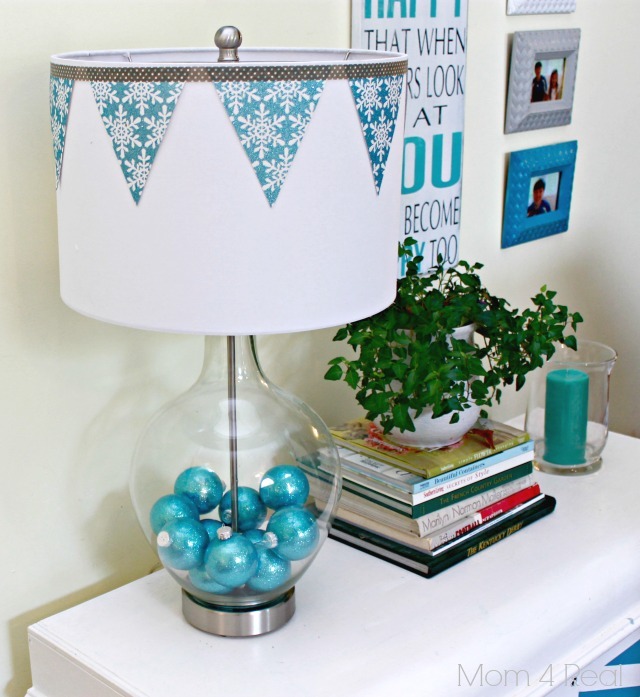 A Holiday Lamp Makeover Challenge With Lamps Plus! I know, I know…it’s August, and I’m about to drop some Christmas on you…what in the world is going on? 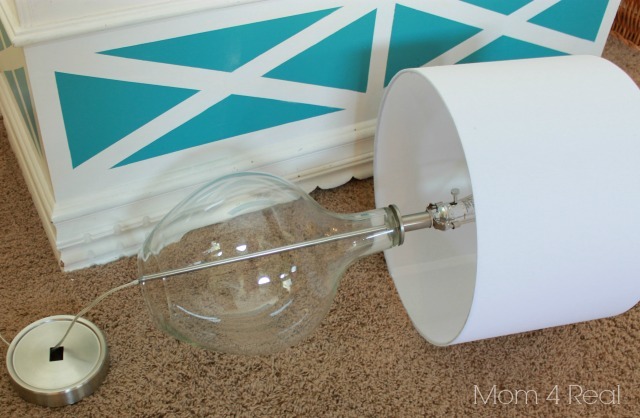 I am participating in a super fun challenge with some of my favorite blogging buddies, showing you a lamp makeover! 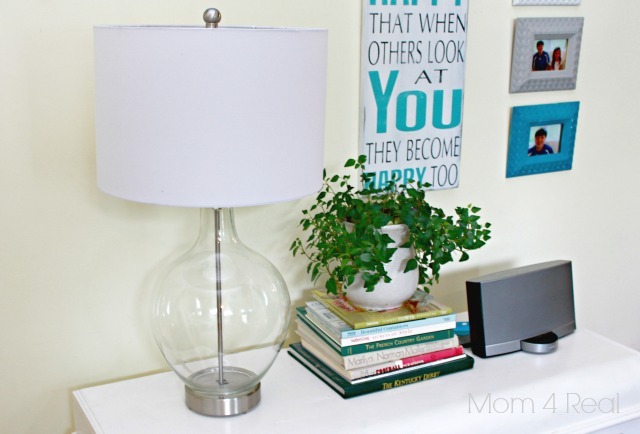 Lamps Plus and Hometalk challenged us to take the beautiful Fillable Clear Glass Ovo Table Lamp and dress it up for the holiday season…I can’t resist a challenge, so I jumped at the chance! I was supplied with the lamp, and couldn’t wait to get started. The lamp alone without any embellishment is absolutely gorgeous, don’t you think? I started by taking the lamp base apart. You simply unscrew the bottom for filling…super easy! 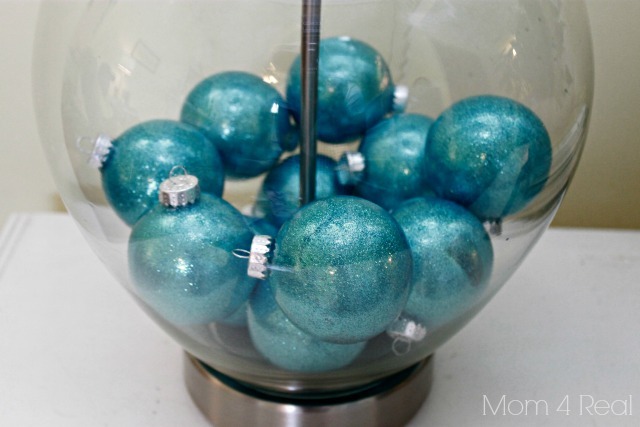 Next, I made some of my sort-of famous Glitter In Glass Ornaments <— just click the link to see tutorial…they seriously take minutes to make! 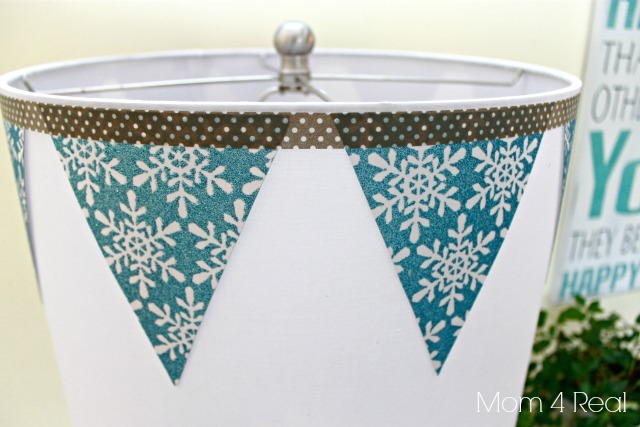 I made a cute bunting with two pieces of scrapbook paper and washi tape to embellish the shade…cute, huh? I love the way those ornaments look in the bottom of the lamp. I can leave my lamp just like this throughout the entire Winter season this way, and it fits right in with the rest of my home’s decor! I think what I love most is that it’s temporary! I can change my lamp with the seasons!!! 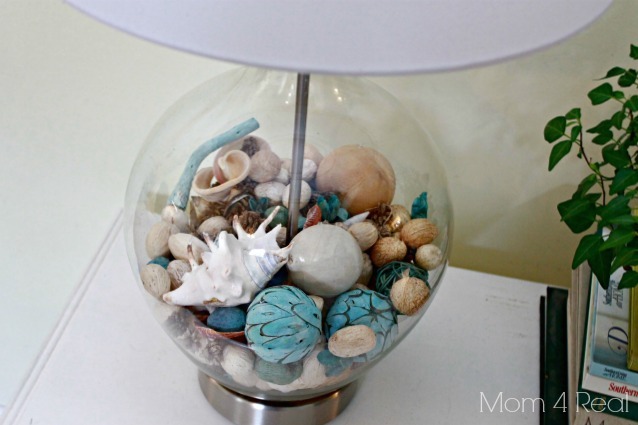 Just to show you how easy it is to change the look, I decided to add some of my favorite beachy potpourri to the bottom. Now the lamp totally works for Summer! I cannot wait to switch it up for Fall!!! 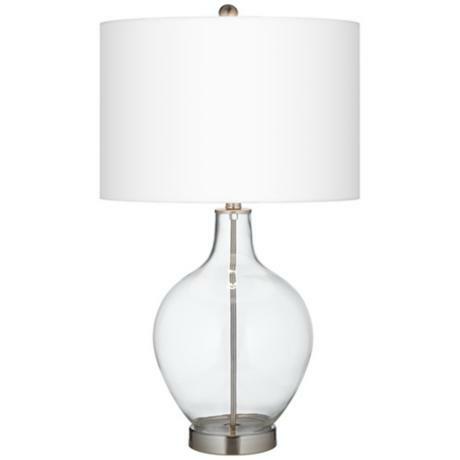 A huge thanks to Lamps Plus for providing the beautiful lamp, you can find them on Hometalk, HERE!! What would you fill the lamp with? Great post Jess!! Love it..turned out fantastic! I love the ornaments and bunting, so cool! This looks great–LOVE the bunting. For Halloween, I would fill it with bleached chicken bones. But that’s just me. 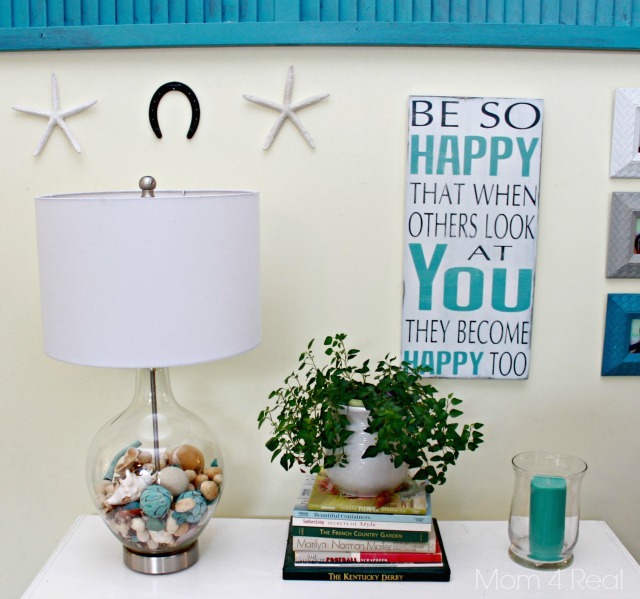 I love what you did with this lamp. The bunting is awesome and I’d like to try something like this! I think I like it best with the beachy-filler you added!!! Love it Jessica. It turned out fabulous – as usual! Cute. I love seeing what everyone has done with these lamps. I really looovee what you did with your lamp! It got me thinking i should try something like that too! Ok here is a dumb question,the bunting how did you stuck it on the lamp? Glue? ..